Taplin Cellars as a wine label is a fairly new addition to the Napa Valley but the Taplin family history in the valley dates back to 1871. The original Taplin family member in the Valley was John Taplin, a dairyman who came to California during the Gold Rush, settled in San Francisco and eventually moved north to Napa. He established a dairy along the Silverado Trail and today the family’s namesake in this part of Napa is Taplin Road. Then there is the Lewelling connection that brought a Taplin across the valley to the Lewelling estate. John Lewelling purchased property from George Yount (Yountville’s namesakes) in 1864 and grew grapes and fruit. After prohibition his descendants farmed walnuts and other stone crops. One married a Taplin and another a Wight. Today the Wights and the Taplin families still own significant acreage off of Lewelling Lane in St. Helena. The Taplins are cousins of the Llewellings. Their are four unique wine brands among the two families sourced from their respective properties in this part of St Helena – Lewelling, Hayfork, Trivium and Taplin Cellars – the most recent being Taplin Cellars with their first vintage from 2008. Fifth generation Napa Valley residents, Stephen Taplin and his brother Bill and Melinda own 28 acres here, 26 of which are planted to various clones of Cabernet. Unfortunately Melinda passed away in 2015; a rose is made every year in her honor and 100% of the profits from this wine are donated to Breast Cancer Research. All three siblings were raised on the property but then left the valley to build careers and families outside of the Napa Valley. Wanting to return to their roots and use the land as it is best suited – the three decided to hold back some fruit in 2008 and start their own wine label. Starting a new wine label is not without its challenges, especially these days in the Napa Valley where there are nearly 1000 unique commercial wine producers. Having been fortunate to grow up in the valley, Stephen has made a number of friends in the wine industry – who have been particularly helpful during the formative stages of starting a new label. Friends from well established Napa wineries such as Mondavi, Martini and Caymus (Wagner) have all contributed advice and knowledge. We have seen a number of Napa wine labels “go away” over the years – especially as more and more parts of the “vineyard pie” are sub divided in an already small geographical area. However, the Taplins have a lengthy and rich heritage in the valley and are building their brand for the long term, starting small and taking tiny steps as they grow. It certainly helps that they have owned property in the valley for decades – as well as the fact that this is a complete family effort. With that said, they do have plenty of room to grow the production of their estate wine. 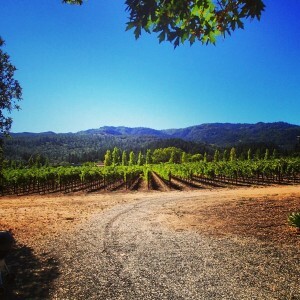 Currently most of the grapes from the Taplin vineyard are sold to premium wineries including Caymus and Orin Swift. Those wineries source the same blocks each year; so does Taplin – they source merely from several rows in one of the rockiest, gravelly parts of their vineyard. Who better to manage their vineyard than family – conveniently, their cousin Doug Wight has his own vineyard management company. Their vineyard borders both the Hall Estate and the Lewelling Estate. Taplin strives to best showcase their terroir and the varietal – looking to make wines with good fruit characteristics and wines that are not super high in alcohol. Their philosophy is to age wine before releasing rather than choosing what might be a more financially prudent path. 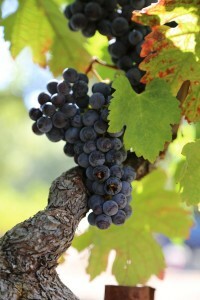 As a result, their wines will see two years in bottle before being released – and their current vintage was released about 5 years after it was vinified. 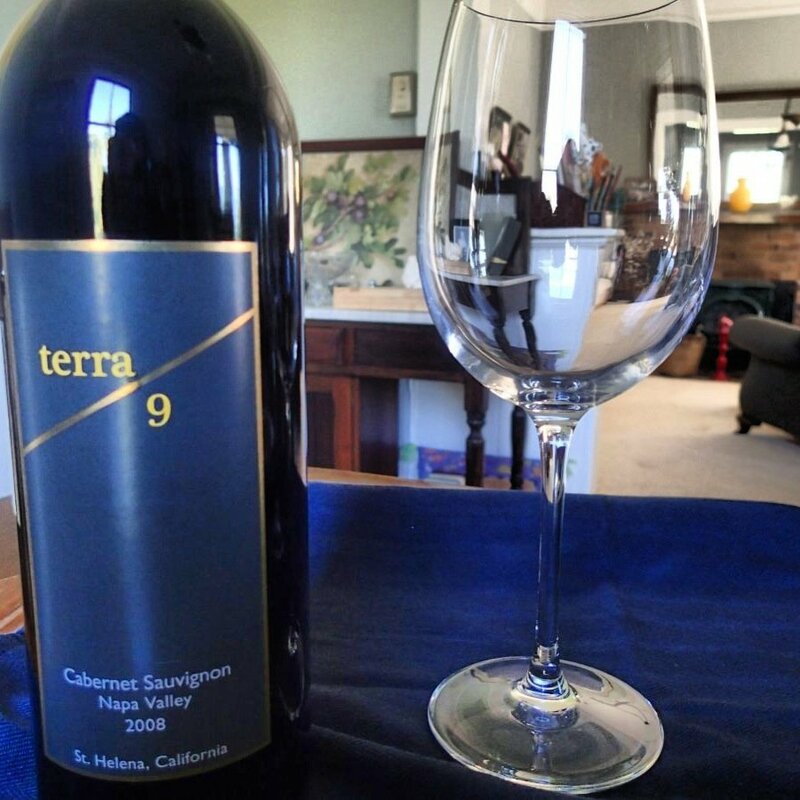 The 2008 terra 9 Cabernet Sauvignon vintage shows a mix of bright red and blue fruit on the bouquet – raspberry and blueberry along with hints of mocha which show more vanilla as the wine opens. This wine has alluring aromatics. The finish evolves pleasantly on the palate – slowly and red fruit lingers for some time with broad integrated tannins. This is a food friendly wine – and during a recent tasting, came alive when paired with a Monte Alba Manchego cheese. Immediately the tannins of the wine were softened and the acidity tempered by the cheese. And this wine is meant to be paired not only with cheese but with food – growing up in the valley the children were surrounded by fresh seasonal produce and additionally, their mother was a nutritionist. Healthy food was and remains a part of their lifestyle. This wine is meant to be shared with family and friends – over a meal and then followed by what Stephen calls the “remarkable moment” a time after food where talk continues and lingers -all the while enjoyed with wine. There is no word in English for this but in Spanish there is – this moment is called “sobremesa” or literally, “over the table”. The name “terra 9” is meaningful to the family – and is certainly a tribute to terroir. Their father used to say his grandfather would tell him their property is 9 parts rock and 1 part soil. 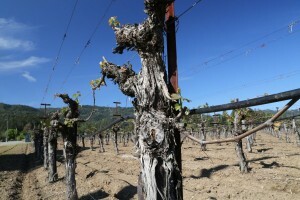 The nearby Mayacamas mountains and ancient stream beds are to be thanked for this. Their price point, relative to Napa pricing is certainly one of the better value to quality ratio Napa Cabernet Sauvignons. Not to mention their lengthy local family and vineyard history in the Napa Valley as well as the quality of and structure of their vineyard’s fruit. Their production is very small – only about 300 cases, a single vintage and a single varietal each year. The wine is distributed selectively, mostly based on where the family lives, in the San Francisco Bay Area, at Dean & Deluca in St. Helena and parts of Washington DC, Virginia and Maryland. Tastings are for serious wine enthusiasts and are always with a Taplin family member at their vineyard or in their old family home. A “wooden box” as Stephen describes it, has two walls separating four rooms. The Taplins have old photographs of this family home from when it used to be located partway up the nearby Mayacamas mountains. In 1920 the home was hauled down from the mountains to its present location. Terra/9 deliciously evokes the taste of the land on which the grapes are grown. Yum!